Happy end of the week to you! So glad to have you here for another round of Five Minute Friday. If you’re new to the scene, find out what we’re all about over here! First, have you seen the awesome posts and conversation going on in the comments section of our On Being a Writer discussion group? So far we’ve covered chapters 1 and 2, but it’s not too late to join in! The more, the merrier! 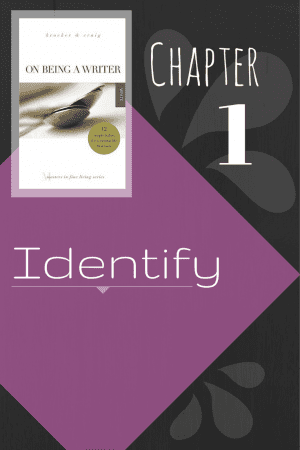 In the first post, we chatted about how we identify ourselves in our writing lives. In chapter two, we discuss how we arrange our lives (time and space) to accommodate for our writing. It’s been so much fun to see like-minded individuals from across the blogosphere linking arms and encouraging one another! Secondly, I can’t believe it, but it’s almost time for another round of 31 Days! Every October, a TON of bloggers accept the challenge and commit to posting on their blogs every day for 31 days. It’s super scary and super overwhelming and super fun. Lots of supers. Last year, for the first time, I hosted a special twist to the 31 Days shenanigans — a bunch of us did 31 Days of Five Minute Free Writes and wrote all of our 31 Days posts in just five minutes or less. It was like a month-long FMF party! I provided prompts in advance for anyone who wanted to use them. For a glimpse into last year’s fun, click here. A few of you have already asked if I’m planning to do it again this year, and the answer is YES! This year, I’ll be doing Reader’s Choice prompts, which means YOU will have a chance to VOTE for the prompts you want to write on! More details will be coming in the next few weeks. Voting will start on September 1st, and I’ll announce the prompts on September 15th for those who like to plan and write ahead. Go ahead and subscribe to this blog in the sidebar if you don’t already, to make sure you don’t miss out! We’re #writing on the prompt, FIND. Come join us? Setting my timer, and … GO. I thought I lost it. My mom didn’t like to have her picture taken. She was usually the one behind the camera, not in front of it. 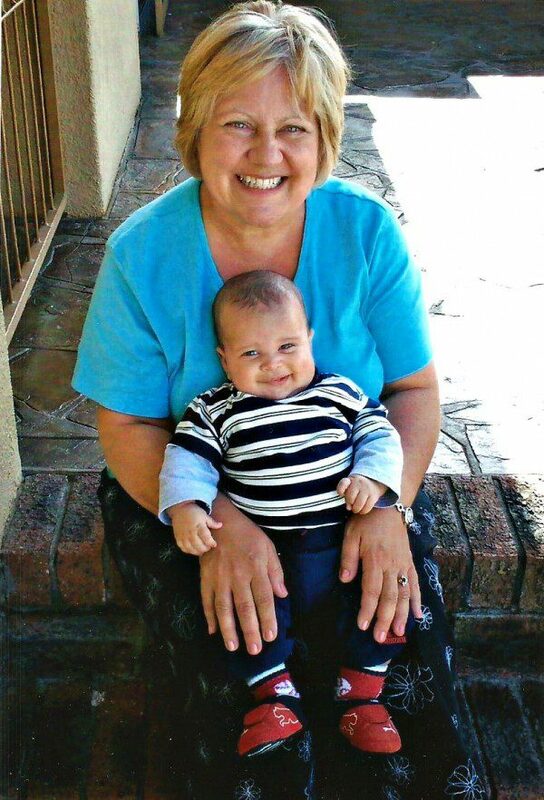 But this was one of my favorite photos of her — captured when she came to Cape Town for the birth of my son, her second grandchild. She’s holding him and the sparkle of happiness just radiates from her eyes. Less than a handful of weeks after the photo was snapped, we learned that her cancer was back. I kept this treasured photograph tucked in the back cover of my Bible. It was my only copy, and I kept telling myself to scan it into my computer. I would, someday. It was safe in my Bible. Until one day, I opened the back cover, and it wasn’t there. I knew the picture had no material value, but to me, it was precious. I almost cried. Over a photograph. This past week, I was cleaning off a bookshelf, and opened a recent journal. Out fell the lost treasure. I thought of those parables in the Bible about the lost coin and the lost sheep, and how the kingdom of heaven is like a treasure hidden in a field. I thought about the raw, unadulterated joy described when those treasures were found. I thought about how Jesus came to seek and to save what was lost, and how even now, He’s on a mission to find us and turn our hearts toward Him. I thought about the angels rejoicing in glory every time a sinner repents. I thought about how valuable this one photo is to me, though it has no earthly, material worth — and how much more valuable we are in the sight of God. My favorite photo was once lost, but now is found. Give us your own five minutes of unedited free writing on the prompt, FIND, by sharing your post below; then visit your link-up neighbor to read and leave some comment love! Oh Kate, this just brings me joy. Sadness and joy, but mostly joy because I can imagine your face when you found it. And your mother’s face is stunning in light of her love for you and her grandbaby. Definitely a photo to treasure. 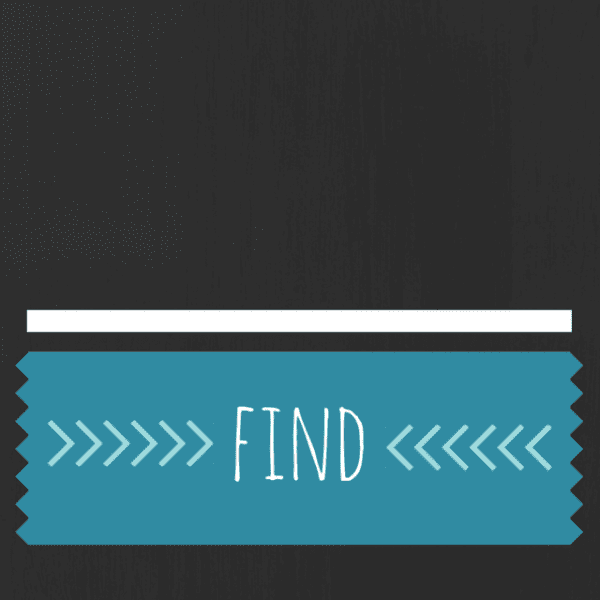 Praise God you found it! These words hit me deep. I love that a lost photo helped you to find yourself and has helped to make you more complete. Thank you or these words that remind me how special our moms are to us. What a beautiful photo! I’m so glad you found it and I’m so glad we have all been found by our Savior! Kate what a beautiful picture of your mama and your boy. I’m so, so glad you found your treasure! What a gift to see that memory on paper whenever you want to. I’m so glad Jesus seeks and finds us. I can’t imagine life without Him. Beautiful photo, beautiful writing to accompany it. Thank you. Love, love, love this picture. I’m so glad you found it and am moved by your post. I always tell my kids that we will never have to look for things in heaven. Nothing lost. No searching. Praise Jesus for that. You and your words are a blessing, friend. Kate, so glad you found that picture. I have my Grandma’s Bible and would be devastated if I lost it. God does indeed find the lost doesn’t he?! Kate! What a special story! I’m so glad you found that photo and scanned it in for all to see! Your mom was beautiful and your son…what a chunk of burning love! What a beautiful story! I didn’t read yours until after I had posted mine but I used the same scriptures 🙂 I am so glad Jesus found us and pray He will use me to find others. Blessings! Your experience resonates with me. So often I think I have lost something precious to me and I’ll ask the Lord to help me find it because He knows where it is! It might not be immediate but sure enough it shows up! OH Kate! I feel ya! I had misplaced a photo, a one of a kind photo, of my mom in a dress that my grandma made, that she wore, then I wore, then my oldest wore. The day I found it was definitely like the lost coin that was found!!! Oh Kate! I’m so happy you found the photo of your mom! I would have been dancing and shouting! So grateful Jesus was on a mission to find me & turn my heart towards Him! Wonderful post. Thank you for the prompts each week as they have blessed me. Also, so glad you found the photo! Beautiful writing and picture of your mom and baby boy. What a treasure! I’m so glad you found it. The 31 day challenge sounds overwhelming but I want to join in! A wonderful sharing of your heart, Kate. Your mother was lovely and I’m so glad you found that picture. Bless you for sharing with us. And thanks as always for hosting this wonderful group of ladies each week! Oh! What joy! Thanks for sharing your treasure with us. First of all, I’m so happy you found the picture!!!! It is a treasure. What a beautiful photo – I would have cried too – howled – if I thought I had lost something so precious. Photos – pieces of paper yes – but they are part of our history and who we are, they remember what we can’t. The visual reminder can be the lift we need and break our hearts too. So glad you found your photo.